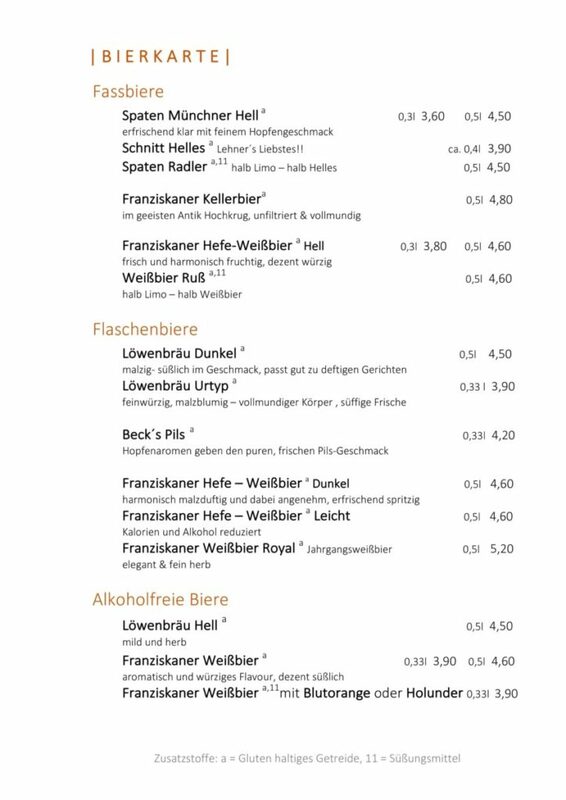 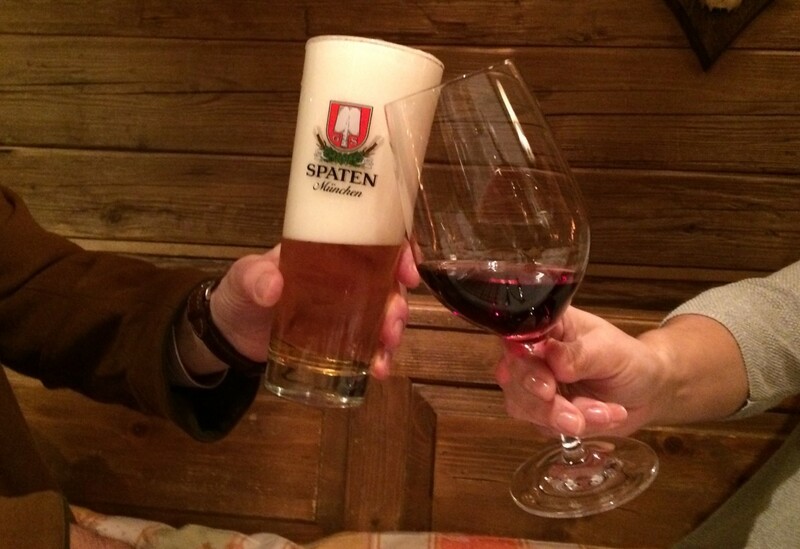 We serve a selection of top-quality beers from Spaten, Franziskaner, Löwenbräu, and Beck’s, chilled to perfection. 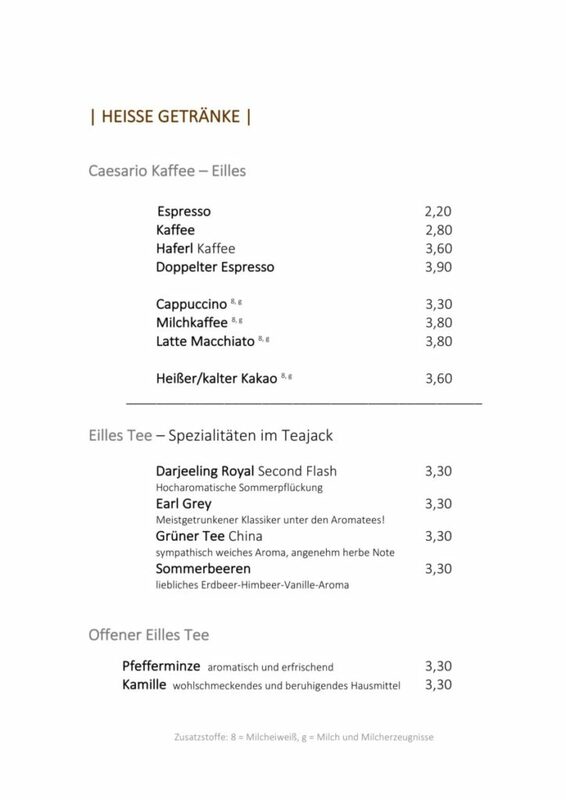 Our non-alcoholic assortment includes Wolfra juices, Gerolsteiner gourmet water, and various spritzers, as well as Davidoff coffee and Eiles teas. 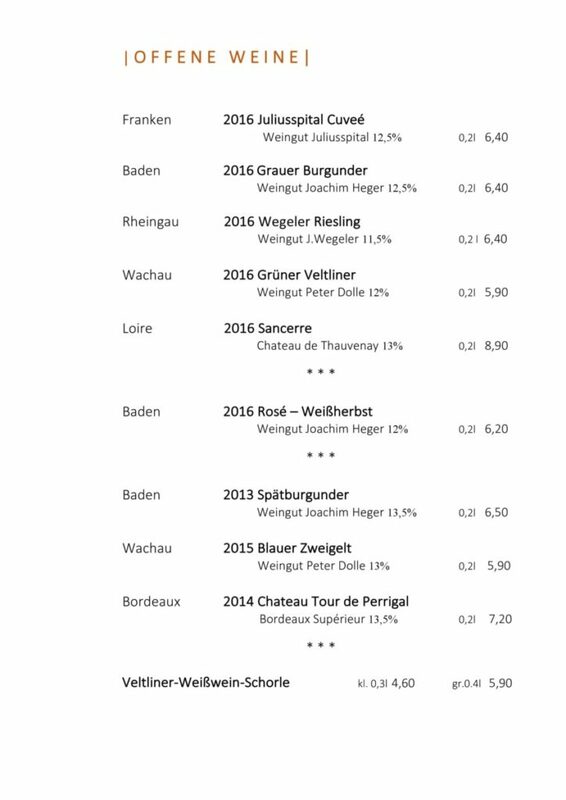 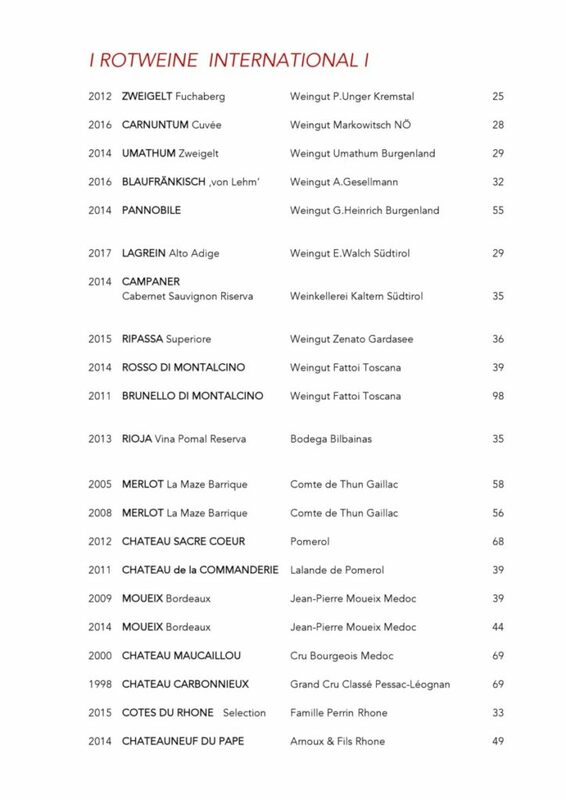 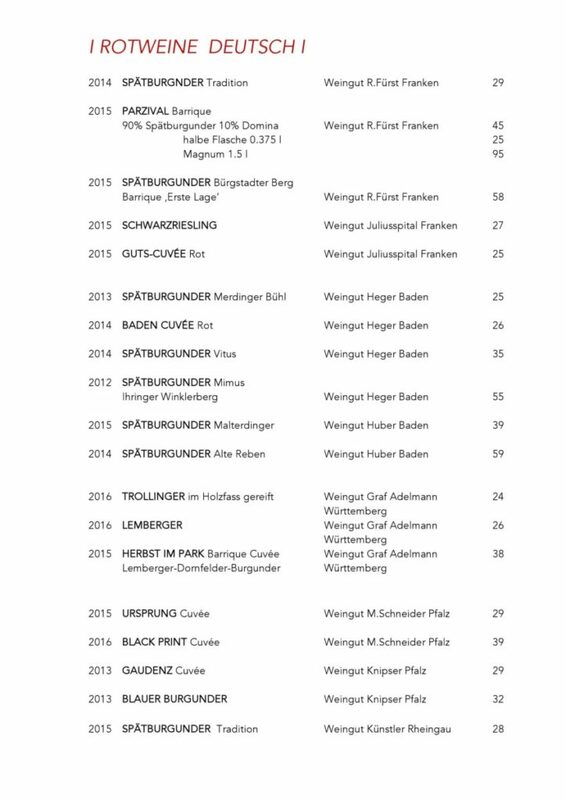 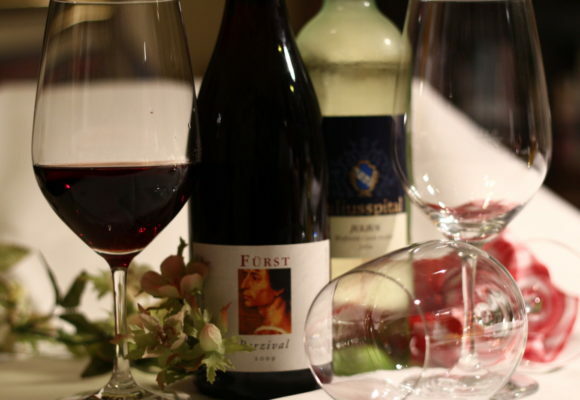 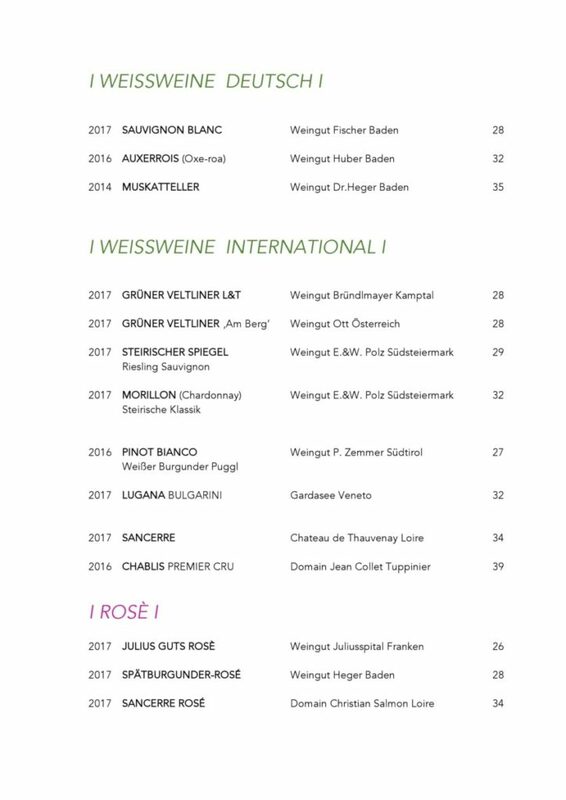 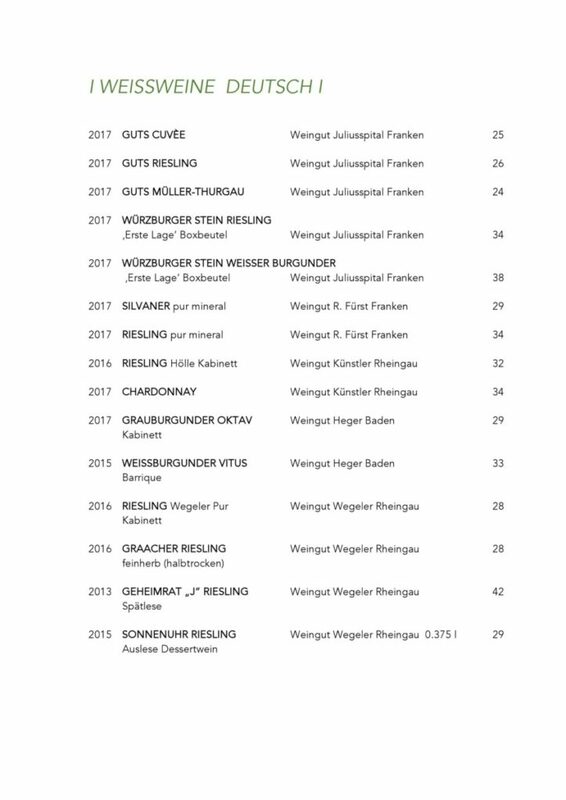 We also serve fine German wines from top vineyards (including the Graf Adelmann Winery in Württemberg, the Rudolf Fürst Winery in Franconia, and the Bernhard Huber Winery in Baden) and selected international wines (Elena Walch from South Tyrol, the Fattoi Montalcino Winery, and Sancerre Loire, as well as wines from Australia, Chile, and Spain). 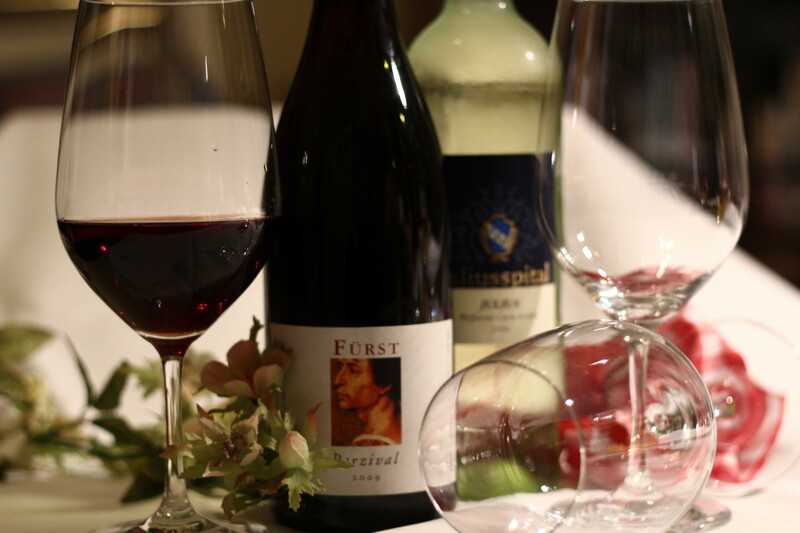 Enjoy our house aperitifs, such as chardonnay sparkling wine from Baden with fruit cordials including elderberry, rhubarb, and raspberry. 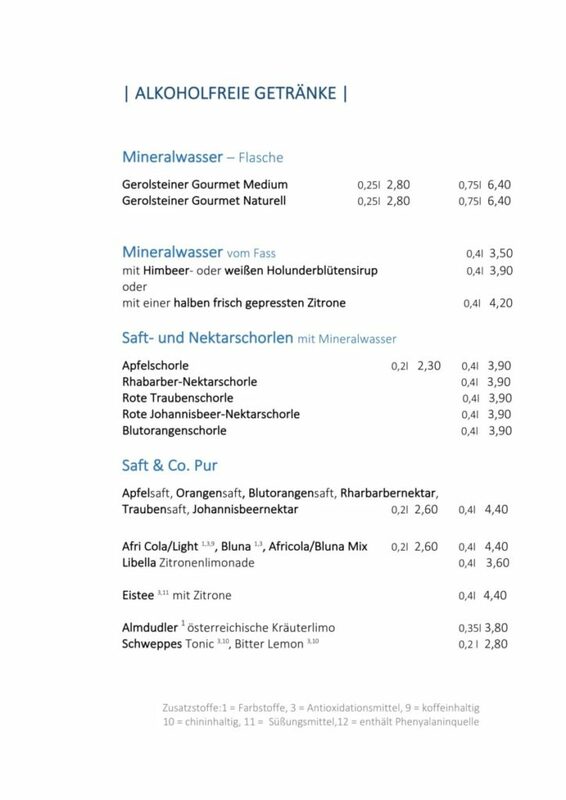 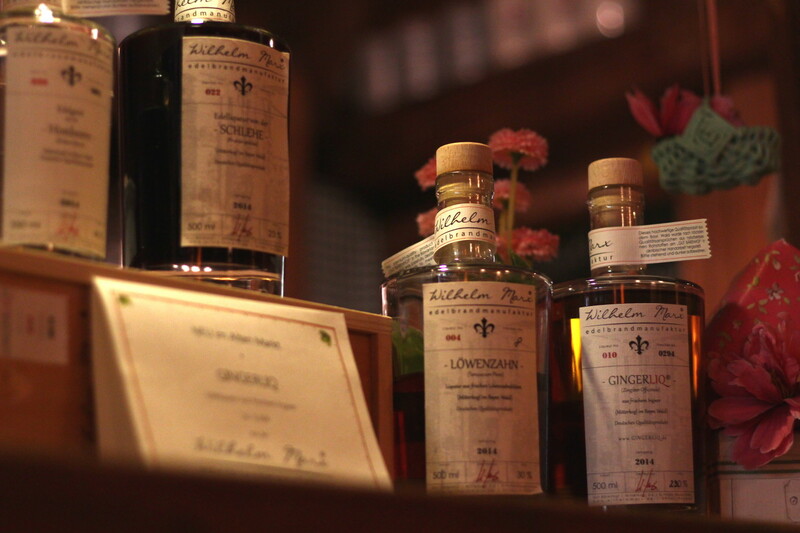 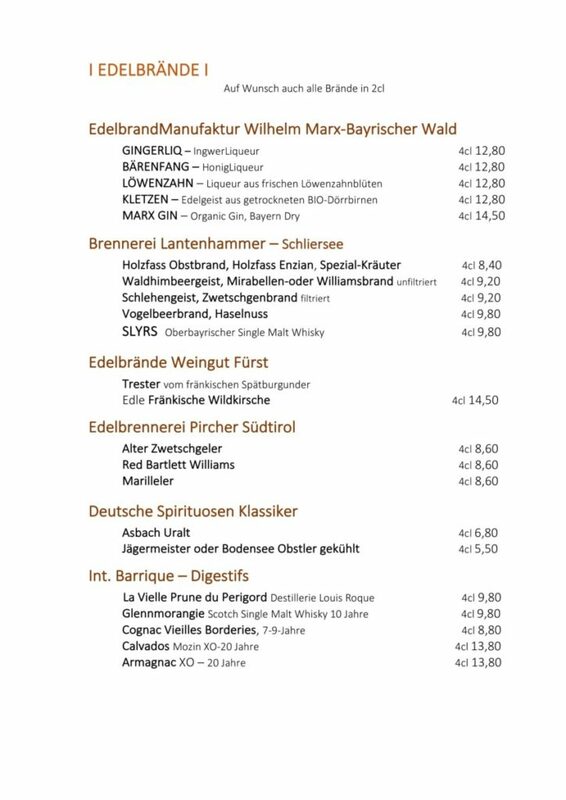 After your meal, you can sample digestifs such as the much-praised Bavarian single malt whisky from the Lantenhammer distillery in Schliersee, as well as classic spirits from around the world.